Thirty years ago, with increasing frequency, squadrons of black seabirds were spotted on Lake Champlain flying low and fast across the water as if on some sort of black-ops raiding mission. Their appearance was something of an environmental success that, in the eyes of many, quickly turned into an environmental catastrophe. The same scene was playing out on the Great Lakes and the Pacific, as the double-crested cormorant made a miraculous recovery after the ban on DDT, a pesticide that had once imperiled the bird’s existence. But while conservationists hailed the return of birds such as the bald eagle, they became increasingly wary of the collateral success represented by the cormorant. As the population surged, once-lush Lake Champlain islands were one-by-one commandeered and summarily defoliated by the cormorants, whose populations had exploded from a single nesting pair into a population that peaked at more than 20,000. Anglers fretted as well, as cormorants slurped down tons of fish, most notably the yellow perch that is an important part of the aquatic food chain and the star attraction at many a lakeside fish fry. In 2003, the U.S. Fish and Wildlife Service, citing fears of cormorant overpopulation, allowed state conservation agencies to “take” cormorants without a permit (owners of private fish farms had been allowed to do so since 1998). 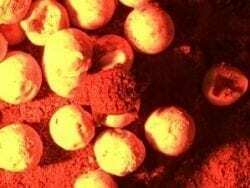 Thus empowered, the state of Vermont began to oil eggs — spraying eggs with oil keeps out oxygen and stops their development — to prevent them from hatching, soon to be followed by conservation agencies in New York. The feds further allowed states to shoot excess birds by the thousands in an attempt to restore pre-cormorant equilibrium. 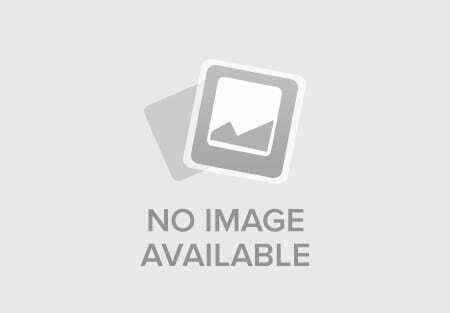 What followed has been a case study in the successes, the failures, and most of all the unknowns and frustrations that arise when attempting to micromanage the environment. “Lake Champlain is so complex that to try to tweak one breed can be challenging,” said Mark Scott, director of wildlife at the Vermont Fish & Wildlife Department. Anything that is done to one species, be it plant or animal, inevitably affects other species up and down the food chain in ways that are often not easily anticipated. Adding to the challenge, it turned out the cormorants had a constituency, from those with scientific concerns to people who just didn’t like the idea of government-sponsored bird kills. Sport fishermen, conservation groups, commercial fisheries, birdwatchers, state and federal governments and even the courts have entered the fray, and the future of the double-crested cormorant is still very much up in the air. Mike Burger, director of bird conservation and managing director of Audubon New York, said he understands the need for management but becomes concerned when birds are shot. “We prefer nonlethal techniques, and we certainly don’t want them to disappear from the landscape,” he said. The Four Brothers Islands, located three miles east of Willsboro Point, are a birding flashpoint dating back to the nineteenth century, when ornithologists discovered in 1887 that a robust herring gull population had been depleted by food vendors who were pickling gull eggs and selling them in Burlington. According to a 1982 report quoted in The New York Times, cormorants first showed up on the islands in 1974, arriving into what at that time was a diverse and vibrant community of birds. In 1977 the islands were given to the University of Vermont by a local resident, but when the town ruled that the school was not exempt from taxes, the university sold the islands to the Nature Conservancy in 1981. Described at the time as the lake’s most important nesting area—home to gulls, herons, egrets, mallards, black ducks, mergansers, Canada geese, gadwalls, pintails and red-breasted mergansers—the islands sported a rich and verdant habitat. The cormorants changed that, and their numbers accelerated when eradication efforts on Vermont’s Young Island just north of the Grand Isle ferry terminal sent the cormorants looking for a new home. On the Brothers, the cormorants snapped off live twigs for their nests, and their acidic guano began to kill off the vegetation. They began to squeeze out other species that had called the Brothers home. By 2008, the Nature Conservancy had agreed to let the state step in and allow the New York State Department of Environmental Conservation to start oiling eggs. John O’Connor, senior wildlife biologist for DEC, said that as in Vermont, measures to control the cormorants were successful. Both states had received permission from the U.S. Fish and Wildlife Service to oil eggs and shoot a percentage of the birds based on population goals. Despite ongoing funding issues and complaints from fishermen that the government still wasn’t doing enough, by 2015, people on the lake had noticed a marked decline in the number of black squadrons buzzing the lake. On the Brothers, the population of as many as 4,000 nesting pairs of cormorants had been cut in half. Conservationists in New York and Vermont felt that equilibrium was being restored. Then in May, 2016, a federal judge in Washington, D.C., sided with a group of retired scientists who argued that the Fish and Wildlife Service needed to base its findings on more recent data. The “depredation orders” allowing states to kill cormorants had been blindly reissued every five years with no new studies, the plaintiffs argued. 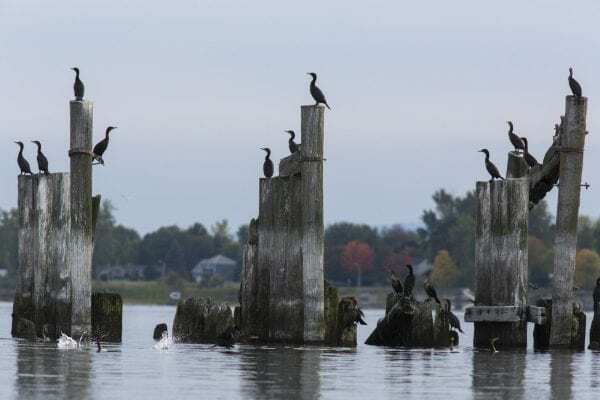 The judge agreed that environmental decisions were being based on stale data, and much to the chagrin of states from coast to coast, the battle against cormorants came to an abrupt halt, until a new study could be completed. Smith said, for example, there have never been definitive studies on the damage cormorants do to the fishery. Contentions that each bird eats several pounds of fish a day are silly, he said, because “if they ate that much they couldn’t fly.” Nor do they seek out game fish, and, Smith believes, their overall effect on the fisheries is probably overstated. Beyond that, managing any aspect of the environment is difficult, because species are so interconnected. “Wildlife management is an art as well as a science, and I’m becoming less and less convinced that we know what we’re doing,” Smith said. It was, after all, an improving environment that allowed the cormorants to wreak their environmental havoc. DDT affected their populations, but so too did pollution, particularly in the Great Lakes. When clean water laws were passed and the murky lakes cleared, seabirds were able to see more fish. With fewer poisons and more to eat, populations increased exponentially. A second, less natural development amplified the population. Audubon’s Burger said when the cormorants migrated in the winter they were increasingly treated to a new and easy food source: the fish farms that were proliferating in the Southeastern United States. For the cormorants, it was almost literally a fish-in-the-barrel situation and it sustained a greater number of birds. 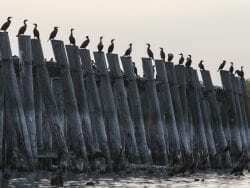 So it was little wonder that when the court put the brakes on cormorant management, the population surged once again. In two years after the order, Scott said the nesting populations doubled. In seemingly no time, large flocks of cormorants were once again flying their missions on the lake. Not only were they gaining strength in their traditional haunts, they were threatening new territory. O’Connor said New York is concerned the birds will nest on Crown Point on the lake’s southwestern shoreline—breeding pairs showed up there after the court injunction, but to everyone’s relief did not return the following year. The U.S. Fish and Wildlife Service satisfied the court requirement to update its study earlier this year, and has been updating its regulations over the summer, agency spokeswoman Vanessa Kauffman said. The changes to date have restored some but not all of the states’ authority to battle the cormorants. In Vermont, Scott said the birds had returned to four private islands in the interim, three of which have since been treated. On the fourth, Lazy Lady in St. Albans Bay, the state was unable to get permission to oil the eggs from the landowner, who had died and left the island to an heir whom the state has not been able to track down. It has helped, but, “in essence I’d argue that our hands are still tied a bit,” Scott said. The lake, at about 4,500 breeding pairs, still has double the number of cormorants that would be ideal, he said. In New York, the DEC was given permission to oil 1,500 eggs this year. It’s better than nothing, O’Connor said, but feels more like treading water than like making progress. The complexity of the cormorant issue proves a point both sides readily acknowledge: managing the environment is no easy feat. Birders who defend the cormorant are given pause by the fact that it chokes out other bird species by laying waste to their habitat. Those who would regulate the cormorant have noticed that the bird has developed a taste for alewives and other invasive fish that have given conservationists fits. Both sides wonder how long cormorant control can and will go on. Where cormorants on Four Brothers Islands have destroyed the stately pines and hardwoods, prickly, invasive buckthorn has taken hold. DEC workers must hoist tanks of oil onto their backs and pick their way through the stickers with wands to spray the eggs with oil—an admittedly time- and money-intensive project.